Moto X4: When is it coming? The release date of Lenovo's Moto X4 draws near as tipster Andri Yatim provided several reports on the release date of Moto G5S Plus, Moto X4, and Moto Z2. According to him, the phones would be released by the end of summer (expectedly, June 30). Yatim also provided quite a lot of other details regarding the Moto X4. According to him, the phone will have a posh build and will be priced higher than the GS5. It will reportedly have a glass front and back and will be surrounded by a metal body. The new Moto X4 is expected to feature a 5.2 inch Full HD display with multi-touch with the latest Android version, that is, 7.0 (Nougat). 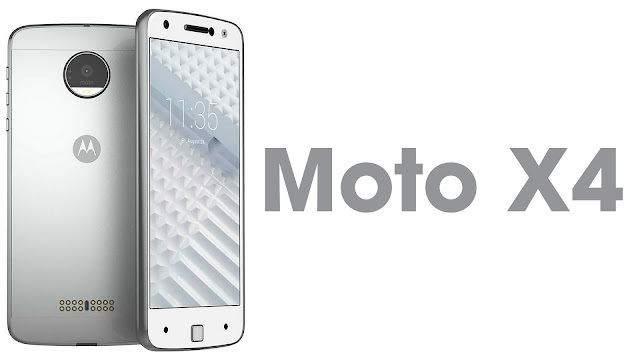 According to the latest leaks, the Moto X4 has 13 MP dual rear camera with 2160p video quality and offers an internal storage of 32 GB with an external SD slot of 256 GB. It may also have a model with 64 GB storage option. The rear cameras will have lenses of f/1.7 aperture and f/2/2 aperture. The Moto X4 will feature a Octa-core Cortex-A53 Snapdragon 660 processor with a clock speed of 2.0 GHz. Along with it, it has 4 GB RAM. It also has an Adreno 506 GPU. The phone will have IP68 rating, which means complete dust protection and water resistance for up to 1.5 meters (5 feet) for about 30 minutes. The Moto X4 will be equipped with a humongous 3800 mAh battery, NFC and will come with Fast Charge 3.0 using USB Type-C. This phone caters to the requirement of sensors such as fingerprint (front-mounted), accelerometer, gyro, proximity, compass. However the Moto X4 has made no changes in its platform. One might find the same features when compared to the Moto X Play. How will the Moto X4 cost? The Moto X4 is reported to cost around ₹20,999 for the 32 GB model and ₹23,999 for the 64 GB model. There is no official word on the pricing or the release date, however. If you liked this post, do leave a thumbs up! And check our other posts, which are just as awesome (if not more)! LG G7: Is it going to be a game changer? Xiaomi Mi Max 2: All we know about the low budget Phablet powerhouse!